In this section of the Tableau tutorial you will learn the Tableau components including Tableau Desktop, Tableau Server, Tableau Online and Tableau Public. You will know what are the features of Tableau, evaluation of Tableau, its strengths and weaknesses. Tableau Software is an American computer software company headquartered in Seattle, WA, USA. 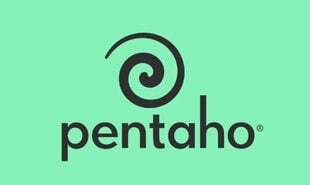 It generates interactive data visualization products which focused on BI. The company was established at Stanford University’s Department of Computer Science between 1997 and 2002. 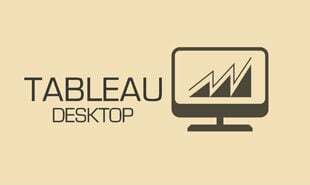 Tableau Desktop is a data visualization application to facilitate you to examine virtually any kind of structured data and generate highly interactive, beautiful graphs, dashboards, and reports within minutes. Once a quick installation, you can tie to virtually any data source from spreadsheets to data warehouses and display information in several graphic perspectives. Designed to be easy to utilize, you’ll be working more rapidly than ever before. It is a business intelligence application which offers browser-based analytics anyone can utilize. It is a rapid-fire alternative to the slow pace of traditional BI software. It is an online solution meant for sharing, distributing, and collaborating on content created in Tableau. 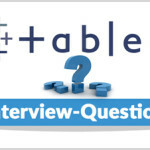 What makes Tableau different? It is proposed for everyone. There is no scripting required, so everyone can grow to be an analytics expert. You can grow your deployment, as you require it. Train online for free. Find answers in minutes, not months. Tableau Online is a secure, cloud-based solution used for sharing, distributing, and collaborating on Tableau views and dashboards. Tableau Online set the flexibility and ease of a powerful cloud-based data visualization solution to work intended for you—without servers, server software, or IT support. It builds rapid-fire business analytics easier than ever. Share dashboards among your whole company and with customers and partners— in minutes. Provide live, interactive sights of data to facilitate people answer their own questions, right in a web browser or on a tablet. And do it in a secure, hosted environment. Tableau Online be able to scale up as much as you require and you can use it wherever you require it. You don’t have to purchase, set up or manage any infrastructure. 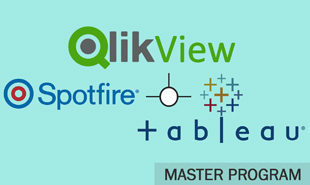 Interested in enrolling for the Tableau software training? Tableau Public is free software to facilitate anyone to connect to a spreadsheet or file and create interactive data visualizations for the web. It is delivered as a service which permits user to be up and running overnight. With Tableau Public user can construct amazing interactive visuals and publish them quickly, without the help of programmers or IT. It is designed for organizations to facilitate their websites with interactive data visualizations. There are higher limits on the size of data you can work with. And among other features, you can keep your underlying data hidden. It is very easy to utilize. 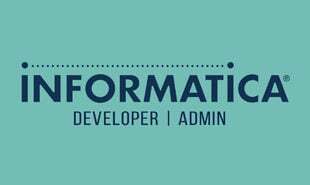 You don’t have to be familiar with programming of any sort, all you require is a few data and tableau to generate reports that can visually enchanting and which tells a story which user have to tell their managers or impress their professor in class. It has drag and drop feature by which user can simply generate story or reports with drag and drop and a few thoughts. This is feasible due to the VizQL (VizQL is a visual query language which translates drag-and-drop actions into data queries and then expresses that data visually. VizQL delivers dramatic gains in people’s ability to see and understand data by abstracting the underlying complexities of query and analysis). The best strength point of Tableau is its speed through which it evaluates millions of rows and provides the necessary responses in moment. It is very simple to use. One can begin with Tableau even with no earlier programming experience. With just fundamental MS Excel skills individual can simply learn Tableau. The Dashboard of Tableau is very interactive and provides dynamic outcomes. Rich visualizations can be produced very easily. The graphics and charts are smart and beautiful. Images, web pages and documents can be added hooked on to the dashboard for simple story telling. All this guides to a large extent coming into the data. Tableau permits the users to directly hook up with databases, cubes, and data warehouses etc. The data access is so simple without any advanced setup and the data is live to be getting updated on its own. Single can select tables as of spreadsheets to data from Hadoop to generate a great mash-up and get preferred outcomes in no time. This is easy ad hoc business analytics. After examine the data, the outcomes can be shared live with just a a small number of clicks. The dashboard can be issued to share it live on web and mobile devices. Learn more about Tableau Server performance tuning in this riveting blog post now. Tableau is somewhat fresh in the BI marketplace but its market share is increasing day by day. It is being almost all industry, as of transportation to healthcare. It has huge user base, which consists of big companies. They utilize Tableau on a on a daily basis to gather their business Intelligence necessities. "0 Responses on Introduction of Tableau"
Sign Up or Login to view the Free Introduction of Tableau.